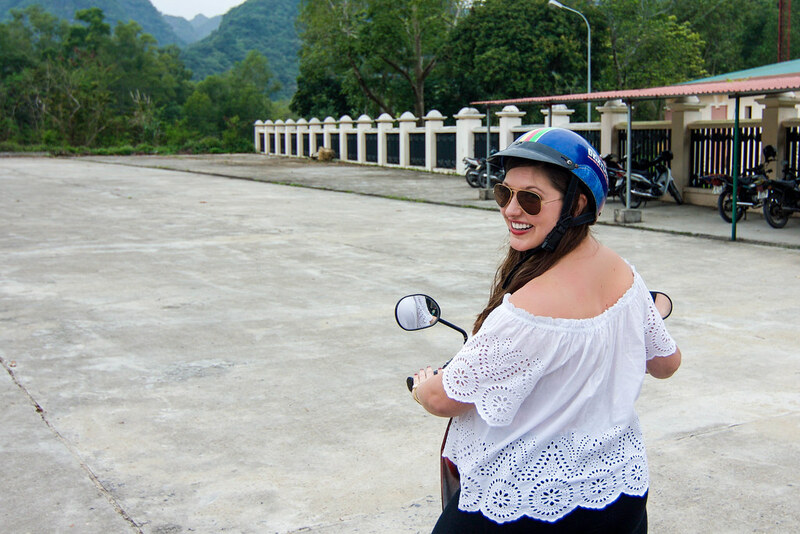 "Just hop on and hold onto me", Tara nonchalantly assures as she tosses me a helmet. "It'll be fine!" The motor rumbles, and I'm quickly awakened from my jet lagged daze. 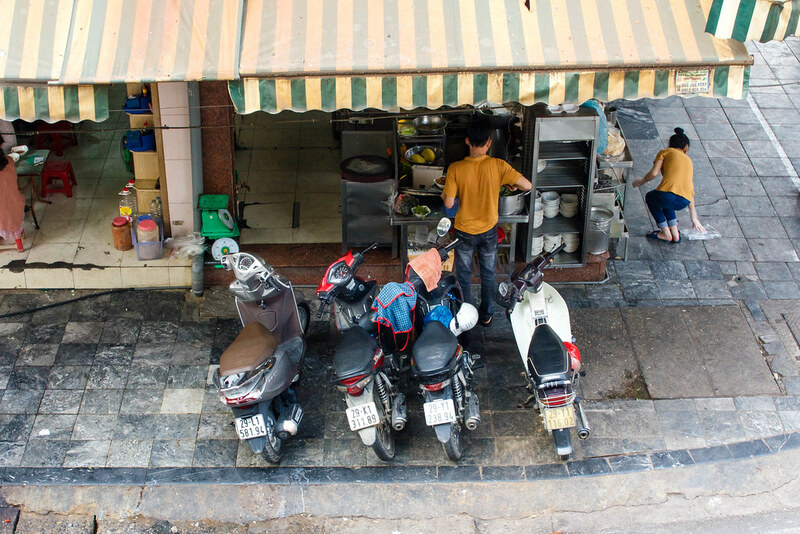 I'm greeted with my first daylight views of Hanoi from the back of her motorbike, bolting through Old Quarter's tangle of traffic. As we dart through town, whizzing past lanky French colonial mansions and opulent decay, adrenaline is pulsing through my veins. 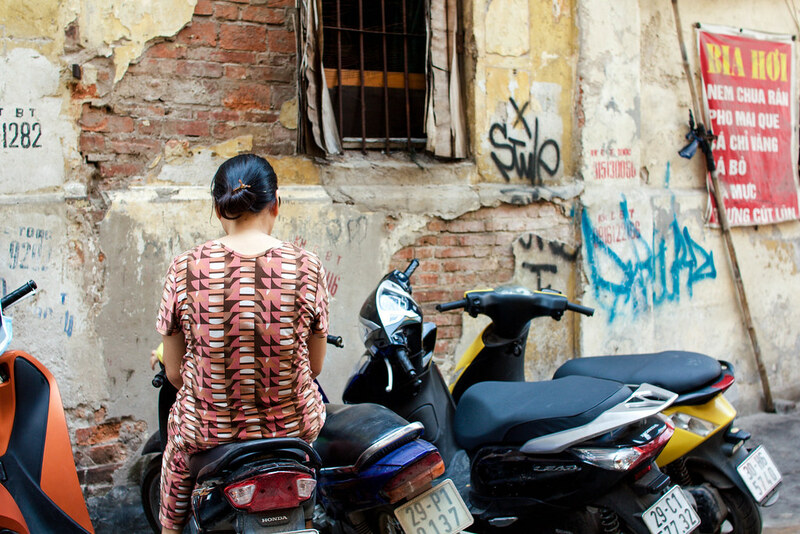 I'm intoxicated by the city's dilapidated beauty, set to a soundtrack of blaring horns and roaring motorbikes. 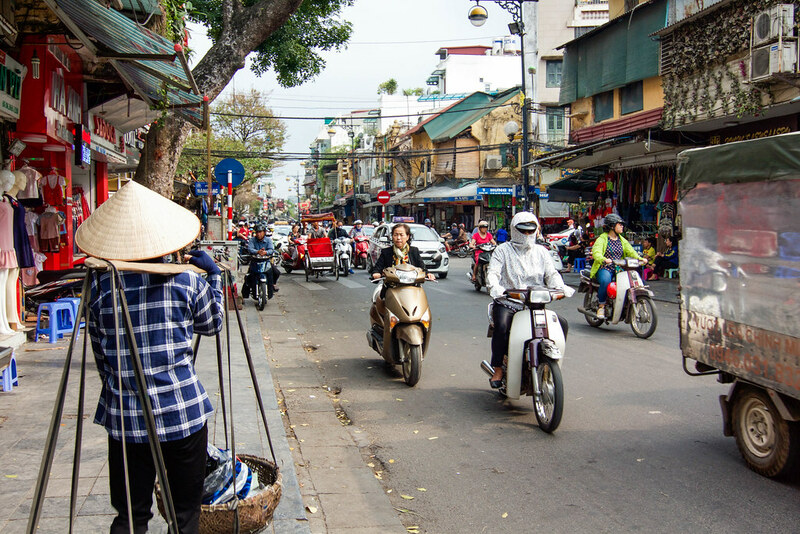 There doesn't seem to be a method to the madness on the streets of Hanoi. Hurtling through intersections feels like an an all-or-nothing gamble. Yet somehow, bikers navigate the chaos with an unexpected grace that miraculously keeps everyone alive. Mincing through the mob, we cross town and park at Cong Caphe. Exhausted yet exhilarated, I feel as if the most thrilling part of my day has passed. 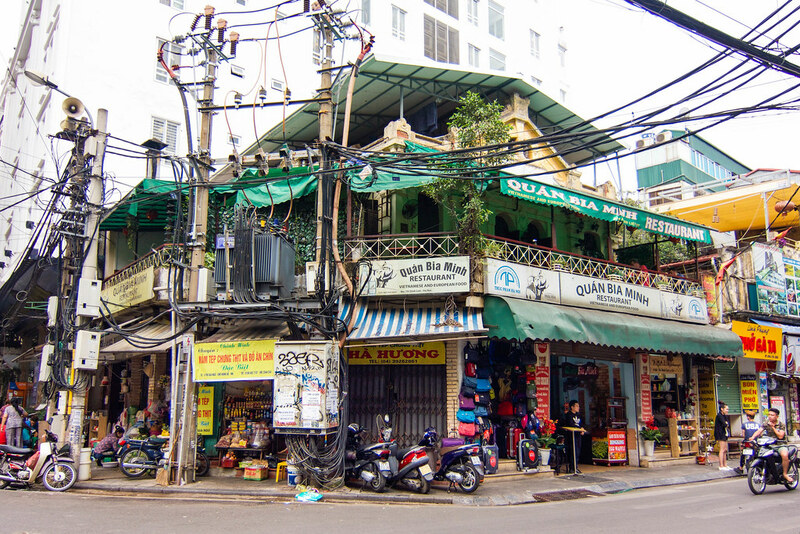 However, I quickly come to realize that crossing the street in Hanoi is an even more unnerving task. "Inch your way across the street, assuming drivers will part around you. Keep your eyes forward, and don't make any sudden, unpredictable movements." I hesitantly step off the sidewalk, lingering for several seconds too long. I anxiously hop back up, eager not to become Vietnamese roadkill. I take another deep breath and charge forward. A sea of bikes tear past me, swerving around me and honking wildly. An elderly Vietnamese man saunters beside me, completely unfazed. Bounding through the cacophony of tenacious bikers, I cross the road unscathed. 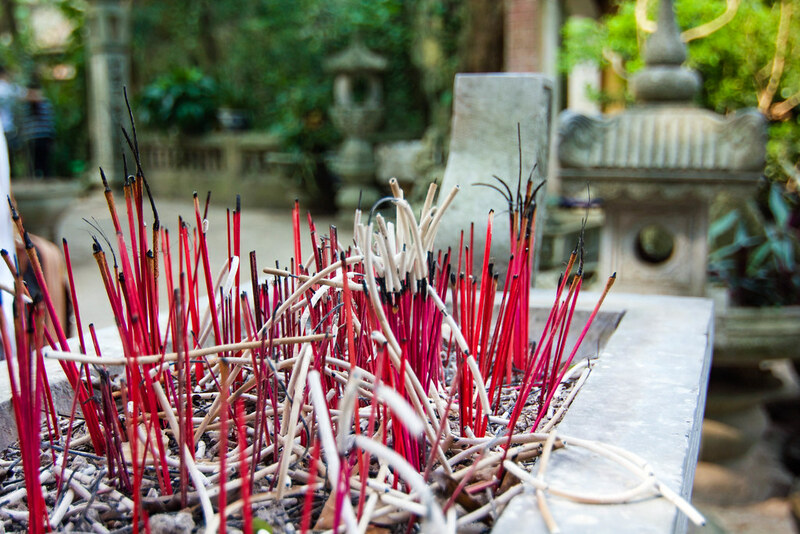 This enigmatic city has given me the most authentic of welcomes, and thus commences my week in Hanoi. 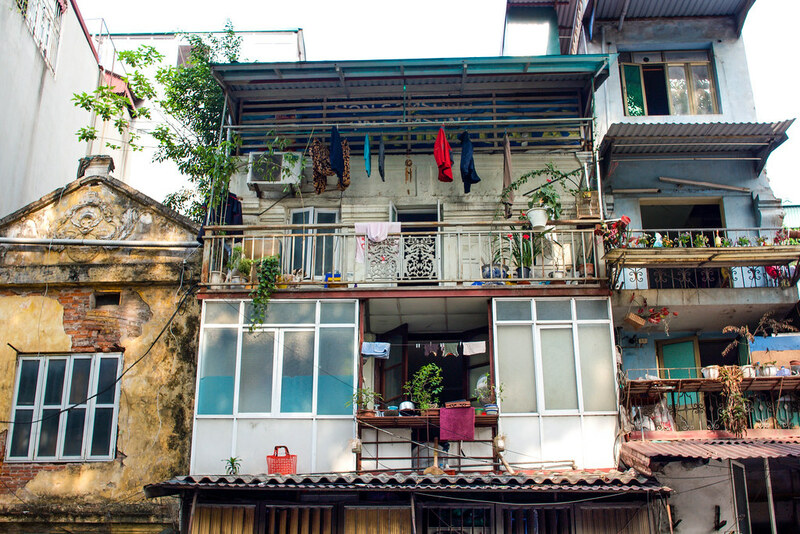 After several days of soaking up Hanoi's energy and charisma, Tara and I hop a train to Hai Phong and catch a small boat to Cat Ba Island, where we spend a day exploring the terrain before sailing off to Ha Long Bay. 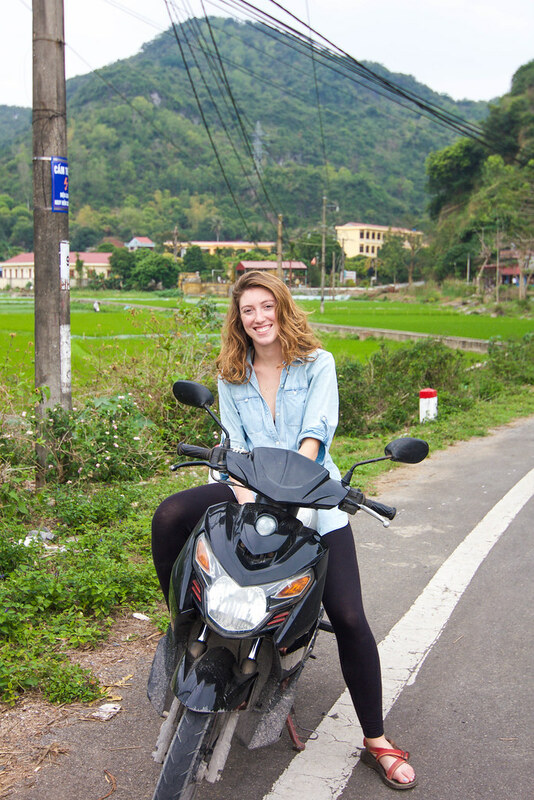 Eager to discover this idyllic retreat, we rent a cheap motorbike outside our hotel and take off. 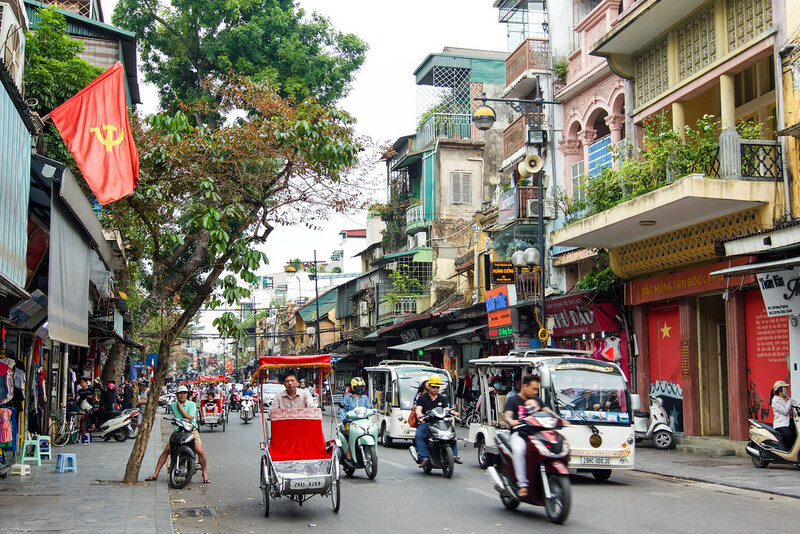 Island driving is a refreshing escape from the anarchic streets of Hanoi. 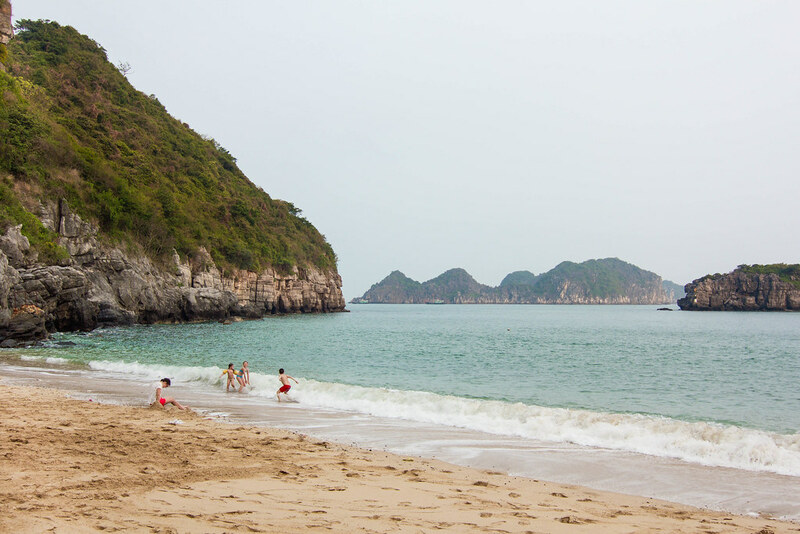 We comfortably cruise across Cat Ba, marveling at the verdant rolling hills and jagged silhouettes of Lan Ha Bay in the distance. 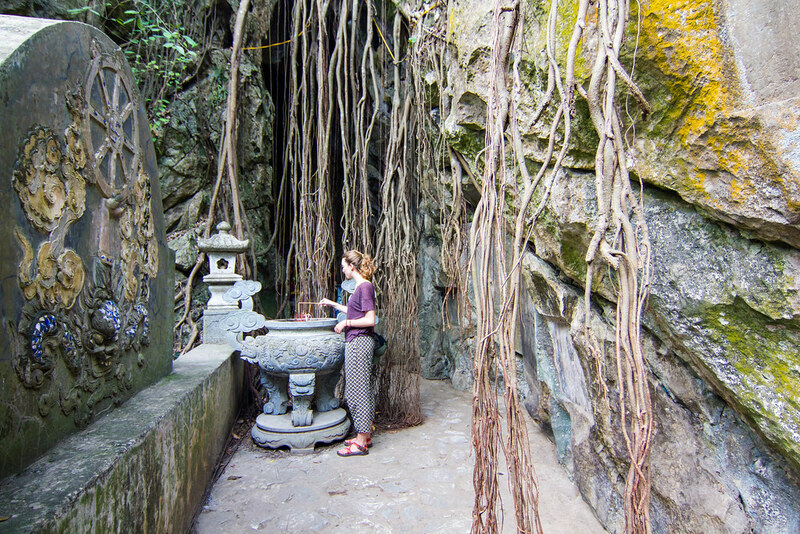 We weave through misty jungle roads and stumble upon the Hospital Cave, which was used by the Viet Cong as a secret hospital and safe house during the war. We pass bucolic villages and rice paddies, stopping frequently to admire the lush scenery around us. We pull into an empty parking lot. "Your turn to drive!" Panic ensues. Driving a car has always terrified me. Driving a motorbike?! Out of the question. I'm finally persuaded to take the driver's seat and hit the gas. I swerve a few times before I get the hang of it, and the next thing I know, I'm speeding across the lot. "Ready to hit the road?" Not quite. 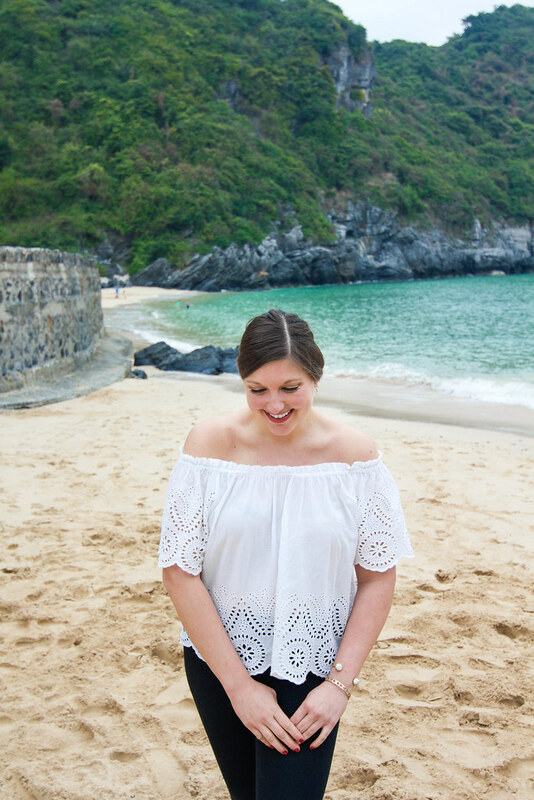 With the wind whipping through my hair and a smile plastered to my face, we continue our journey across the island. We wrap up our bike tour at the dreamy, deserted paradise of Cat Co 2. 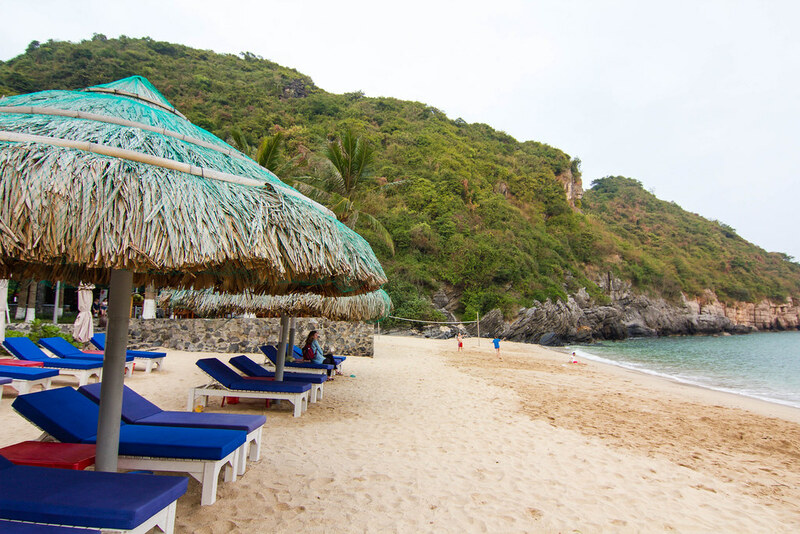 The jutting shadows of Lan Ha Bay command the horizon, while enchanted emerald waters beckon us to the bay. 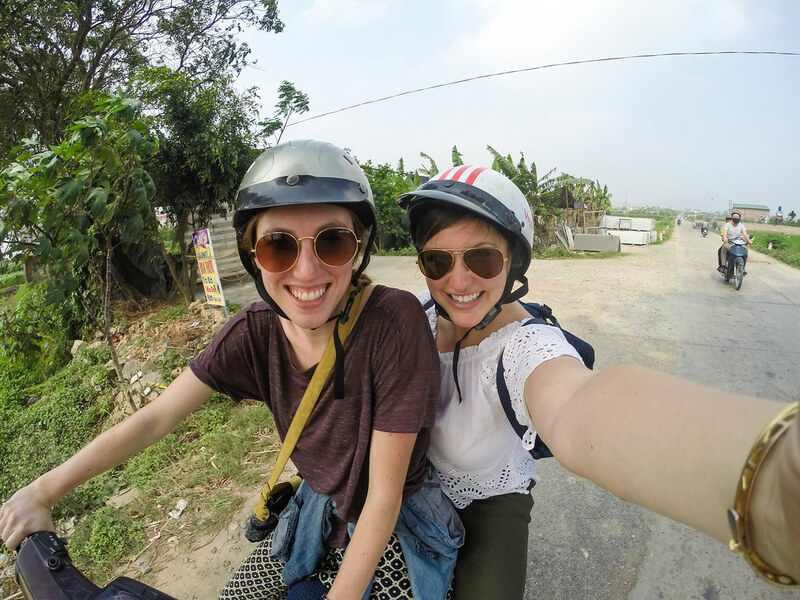 After settling back into Hanoi, Tara and I motorbike through bustling villages and farmlands to explore the ancient temples of Chua Thay. 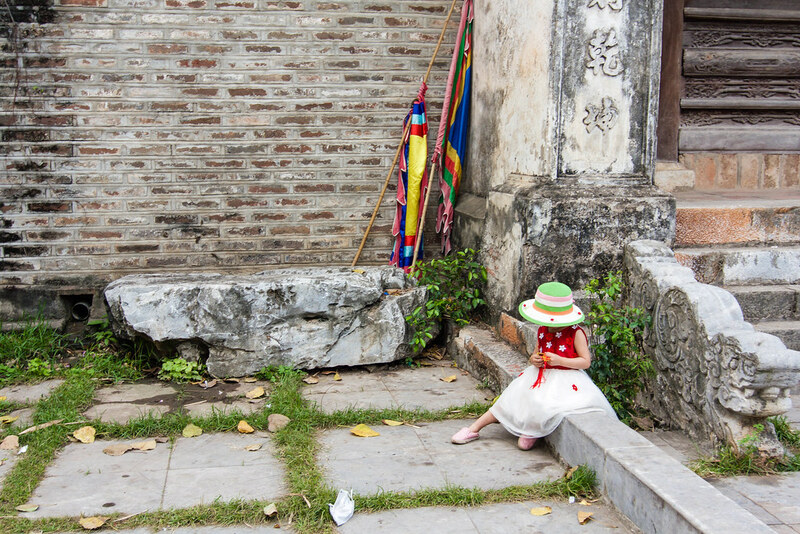 With mountaintop shrines, a gargantuan cave, and a pagoda over 900 years old, this town off the beaten track is a refreshing escape from Hanoi's colorful chaos. 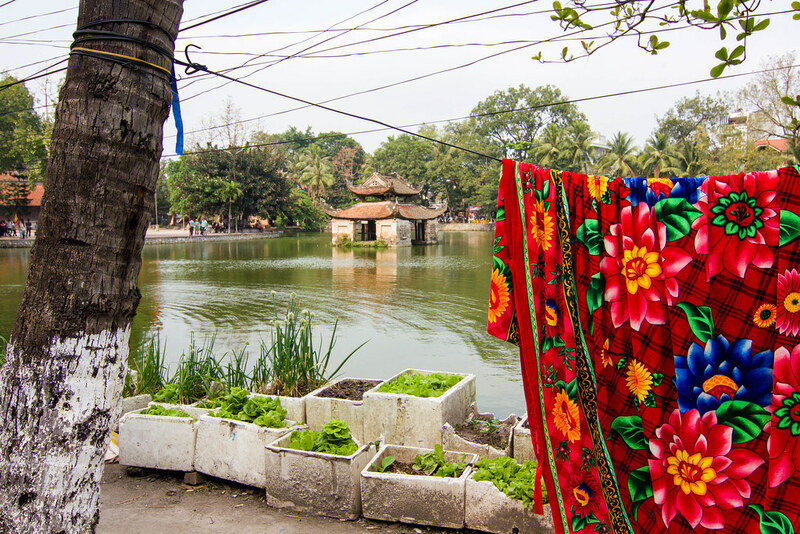 Just 40 minutes from Hanoi's Old Quarter, this hidden gem has all the makings of a perfect day trip. 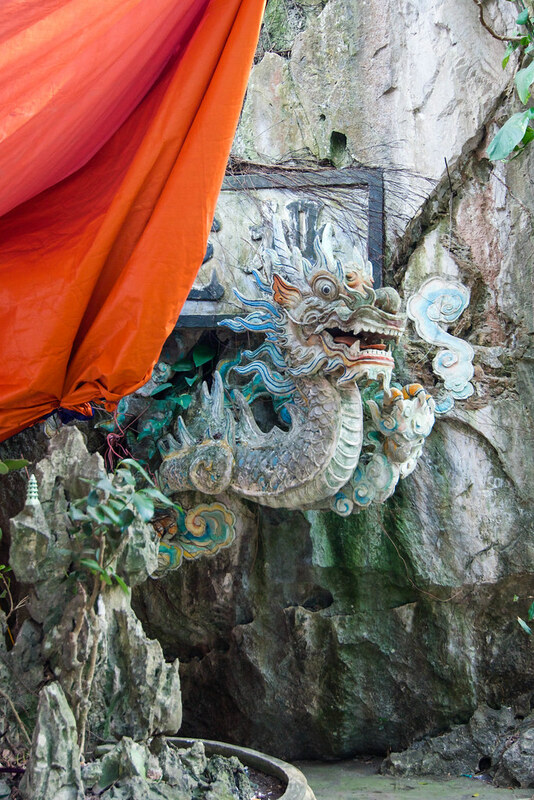 We explore the village and pagoda below, then hike our way up to Chua Thay's breathtaking mountaintop temples. 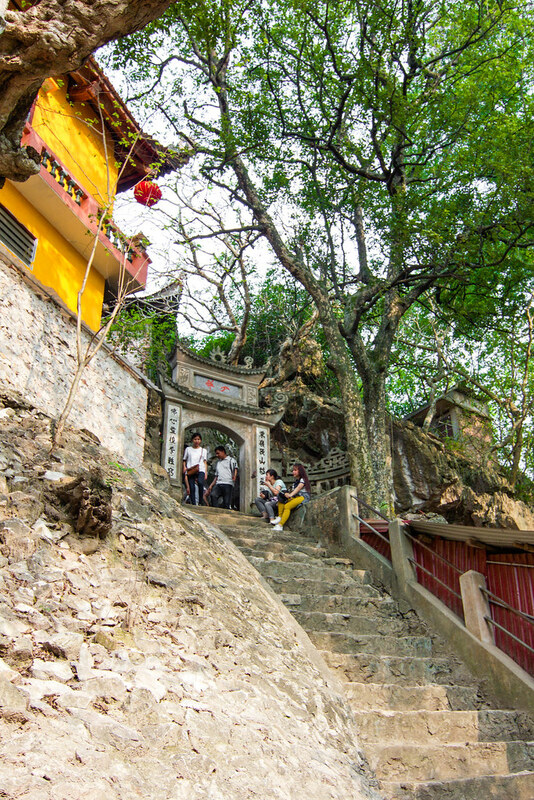 Making the climb is surely the best way to burn off all those Vietnamese spring rolls and bowls of pho. 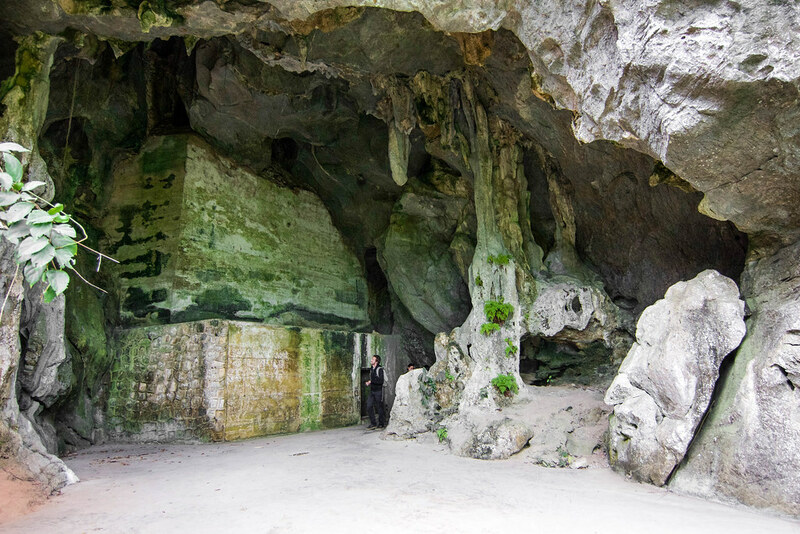 Chua Thay also boasts an otherworldly limestone cave, which is rumored to contain the bones of soldiers from the Vietnam War. The steps to the cave are steep and nearly treacherous; don't try to rock climb in sandals (lesson learned). 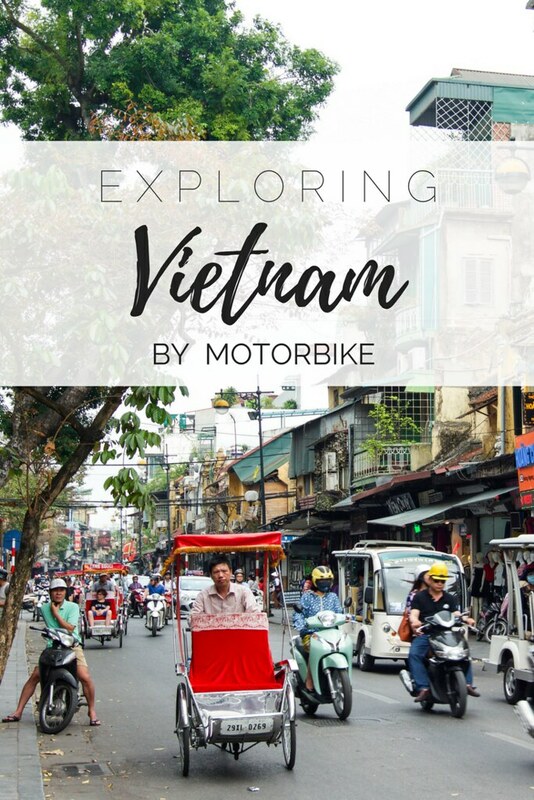 Getting to know Vietnam by motorbike is one of the most enchanting ways to discover its soul. It's not just a means of transportation, it's a way of life. 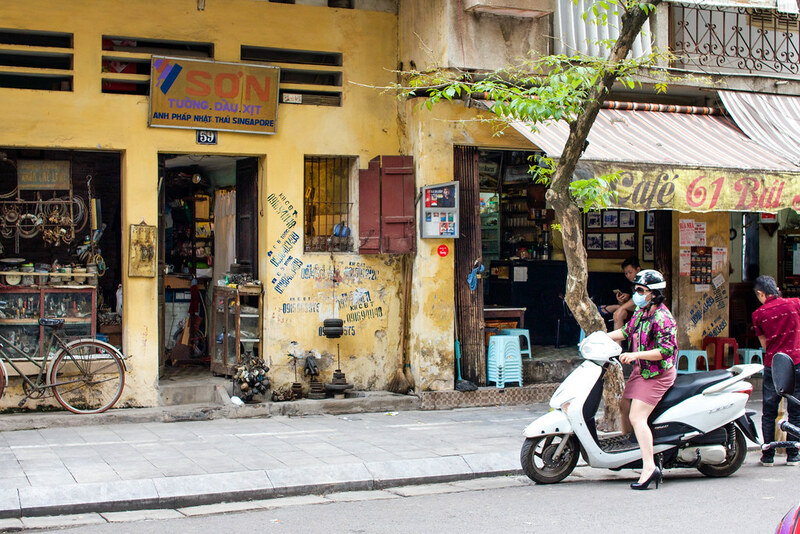 Exploring like a local can be slightly terrifying, but it's easily the most memorable way to discover this enigmatic country. 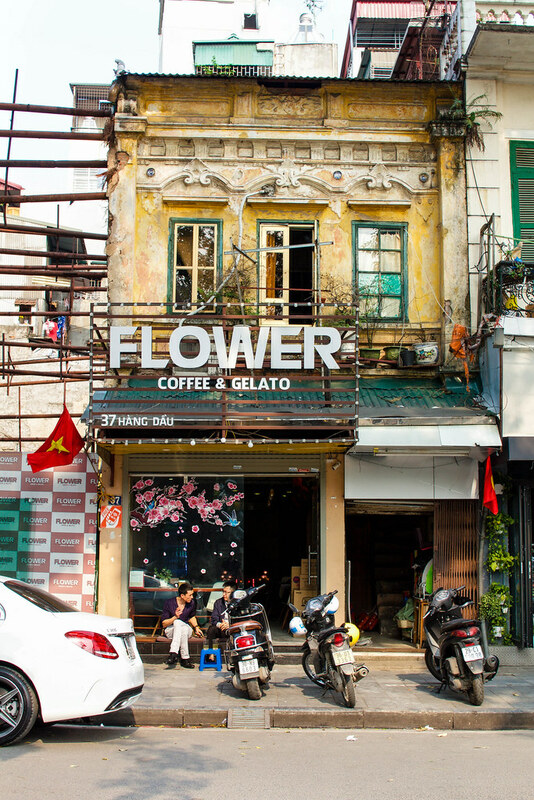 Enamored by Vietnam's energy and feeling like pictures couldn't quite do it justice, I tried my hand at making my first travel video. 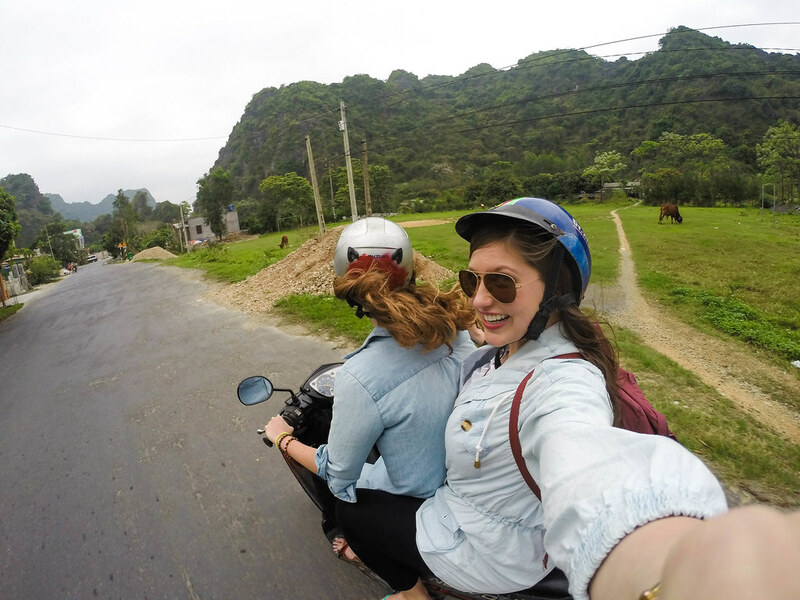 Check it out, and witness me fumbling with chopsticks, zipping through the Vietnamese countryside, cruising Ha Long Bay, and devouring all the street food. 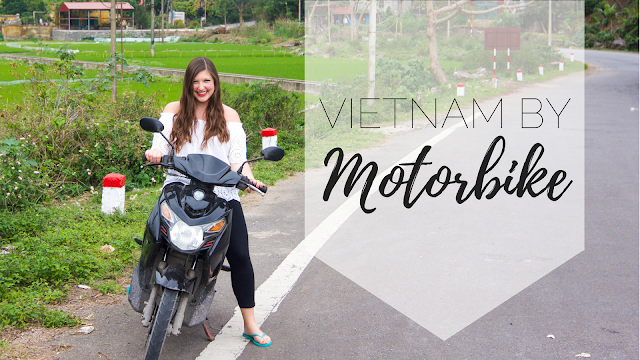 Have you ever ridden a motorbike in a foreign country? Disclaimer: Ride at your own risk. All the information provided on adelanteblog.com is for general information and entertainment purposes only, and is the expressed opinion of myself. Any action you take upon the information on this website is strictly at your own risk. Under no circumstances will I be liable for any loss or damage (including without limitation indirect or consequential loss or damage) arising out of or in connection to the use of this website.